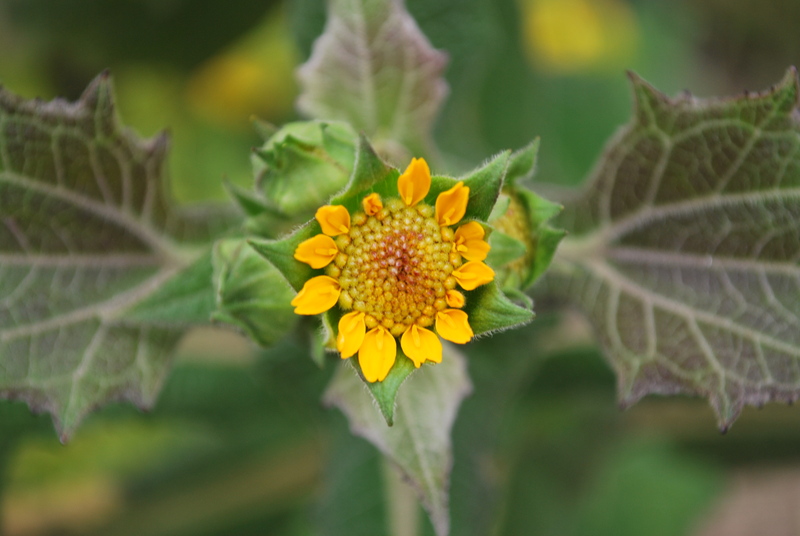 Just wanted to share a few photos I took in the garden today. Oh well. The ducks and chickens sure enjoy them! 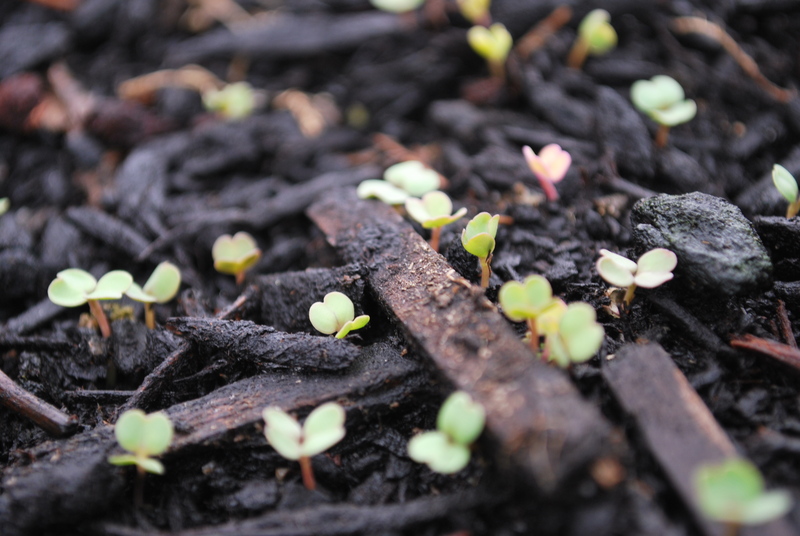 These are arugula seedlings that were planted last week in a few big containers recently vacated by tomatoes and cukes. They seem to enjoy the cooler weather and if I can keep them growing for another month or so I’ll be super happy because I love using it in salads and sandwiches. My neighbors have a giant English laurel hedge that borders on my property. 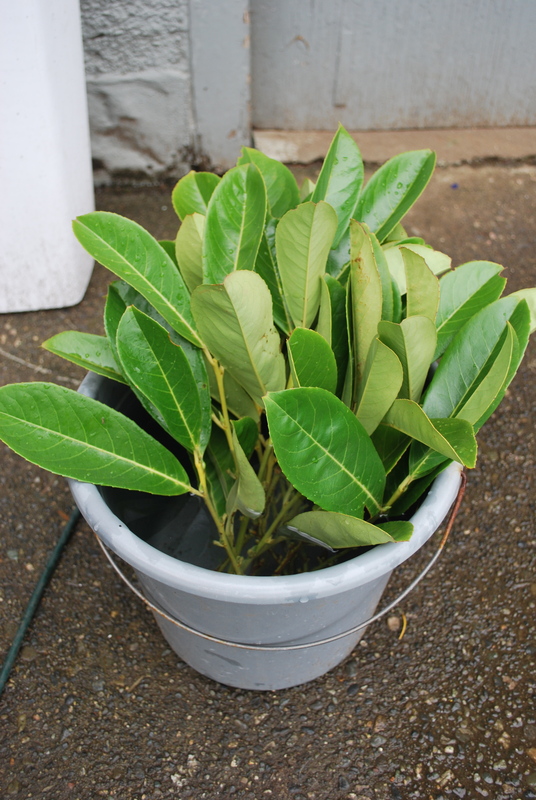 Since I’ve read that it roots well as cuttings, I decided to take a few so I can plant a hedge next year that will eventually grow to hide a chain link fence and a view of the train tracks. 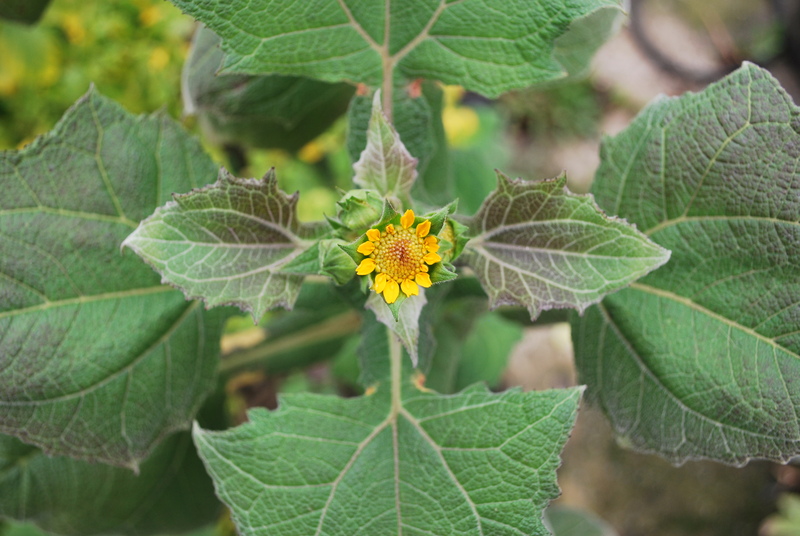 And here is the first little flower to appear on the yacon plant. I wasn’t sure we’d get any flowers this year as it was in a container, but it seems determined to bloom before it’s killed off by frost. I love the symmetrical leaves on this Peruvian tuber. 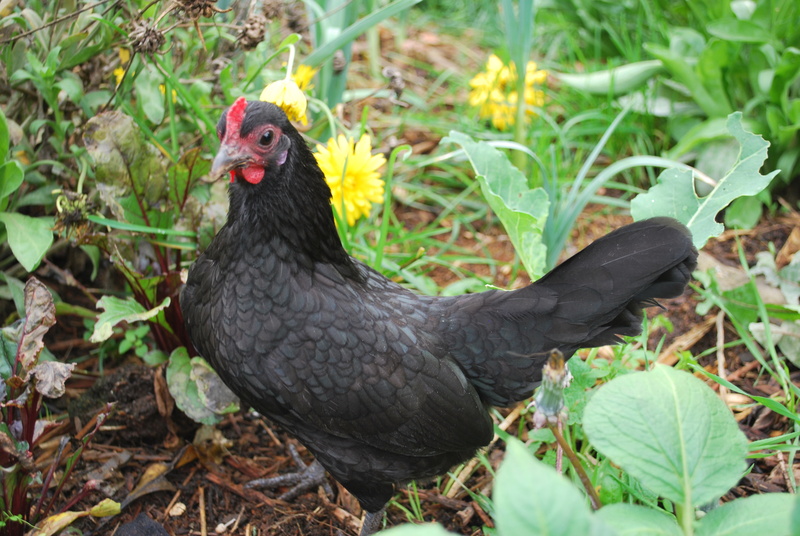 And last of course is adorable Tiny Chicken, who is my faithful gardening companion. She is always full of advice on any topic and makes sure to dispatch any worms I might dislodge. 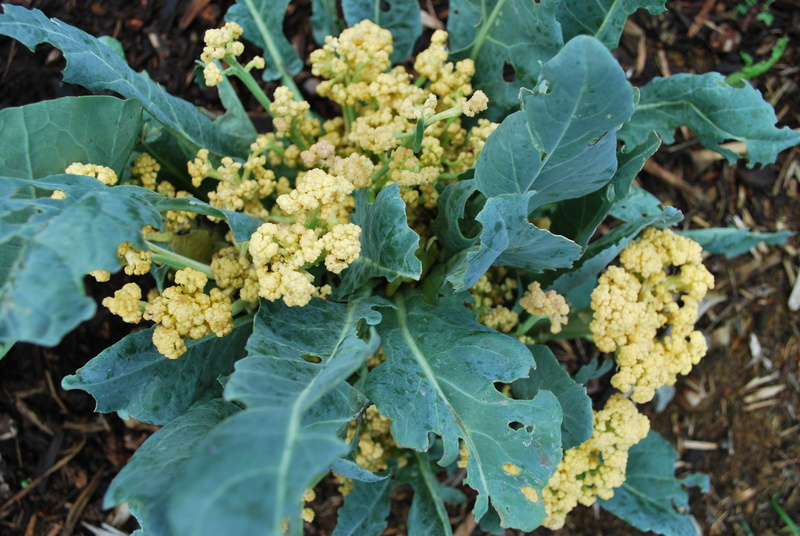 This entry was posted in gardening and tagged arugula, old english game hen, purple cauliflower, yacon. Bookmark the permalink. 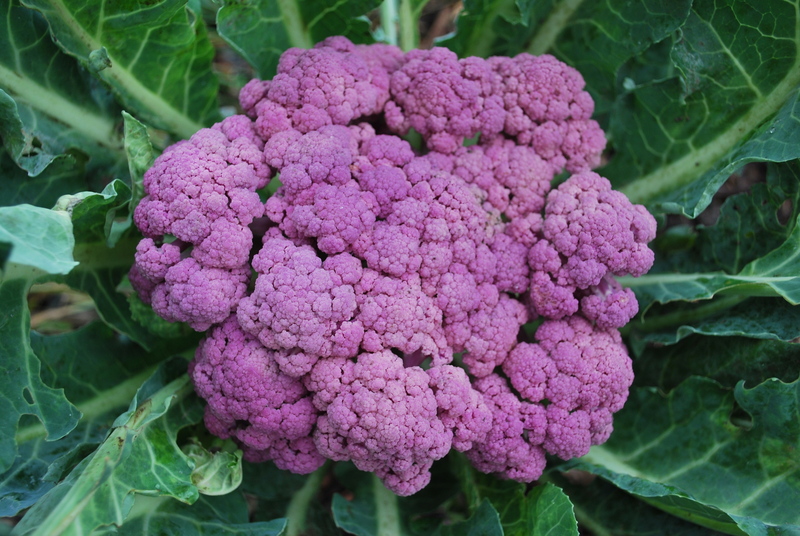 I have never seen purple cauliflower!